There were two sessions; one at 10am, and one at 1pm. Given that the 1pm session would be more packed and it was during our interview, I opted to get as much video and photo coverage of the event as I could. Some of the camera work was done by Dalton as I snaped photos of the matches. This shot is from the afternoon session. The audience got involved at the end, and it got a bit hair-raising. During the introductions, the announcer noted that these two Guests of Honor were in a recent video that went viral with all the major sporting websites and networks, from ESPN to Fox Sports to Deadspin. In normal motion, watching Byamba slam Kelly into the ground was a sight to see, but everything is better in slow motion. After the event, it was time to head back to Fresh Bar and Grill to eat more while saving. This time around, I had their 1/2 burger on Texas-style sourdough bread. But what really got me was that mozzarella, bacon, avocado, and fried onion were considered "free toppings" which made this burger more massive. I made it back in time to catch a little bit of the "unofficial" Persona Gathering before heading off to meet up with Nate for our interview with Richard Epcar and Mary Elizabeth McGlynn. I had forgotten about the Aniplex USA Industry Panel and wondered why Ryan and Amanda were late to the gathering if they were coming at all. I had also forgotten that I wanted to ask Aniplex if they were planning on bringing the first Persona 3 movie to the United States. 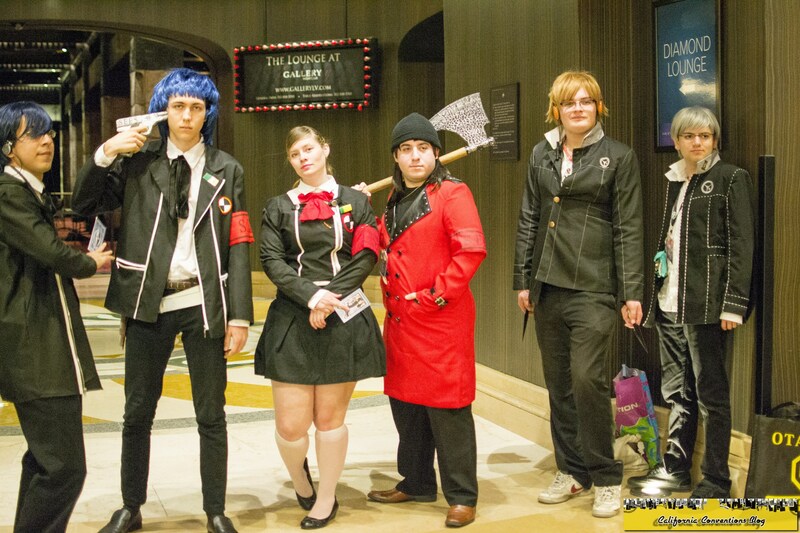 Given Aniplex's track record with the Madoka Magica and Anohana movies, Persona 3 would be in the works. However, it may have to be where people would "demand" a screening in their area much like what FUNimation did for Evangelion 3.33. There is also debate on which licensing company would hold the screenings; Sentai Filmworks licensed Persona 4: The Animation for the US and not Aniplex USA, so we as fans have to consider them too as well. I want to thank the Otakon Vegas press staff in advance (usually I would do this for my epilogue but I want to do this early) for allowing us to interview the two. Everything ran as we wanted it, and we all had a great time. 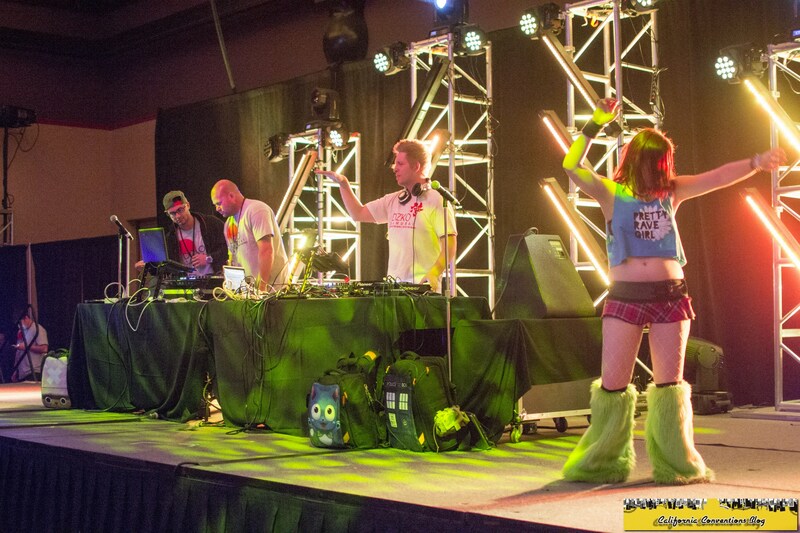 By now, the major event for the whole entire convention was looming: the world premier of Space Dandy. The lines were getting long outside Main Events as the staff quickly broke down the USA Sumo event to get more seating in for the screening. In order to keep the premier spoiler-free for those who were watching it on Toonami five hours later, there were no cellphones or cameras allowed during the screening. Besides, if I wanted to live Tweet from the event you couldn't because the reception was horrible. I enjoyed the visuals and music, but the plotline seemed all over the place; then again, it is the first episode so hopefully things would of been ironed out (as of writing, I have not seen Episode 2 but it is sitting in my DVR). 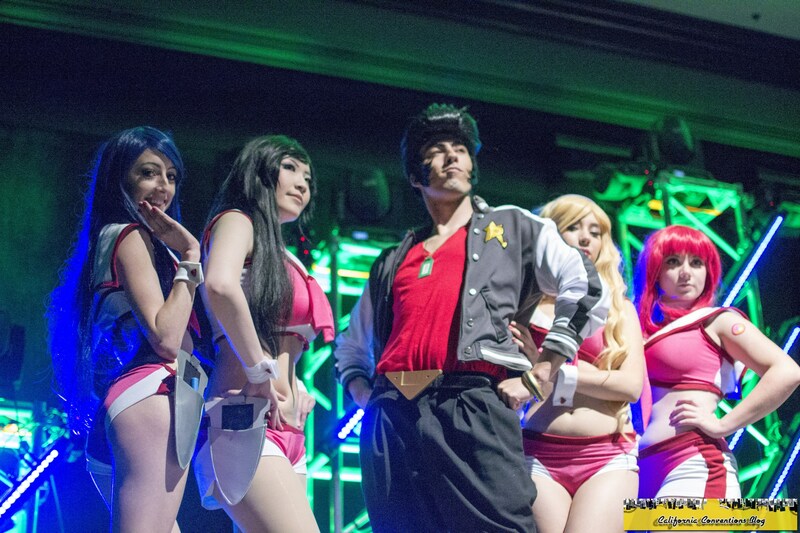 Space Dandy is about a dandy guy in space...surrounded by girls. Throughout all this downtime that I was having, it was Wild Card weekend in the NFL. 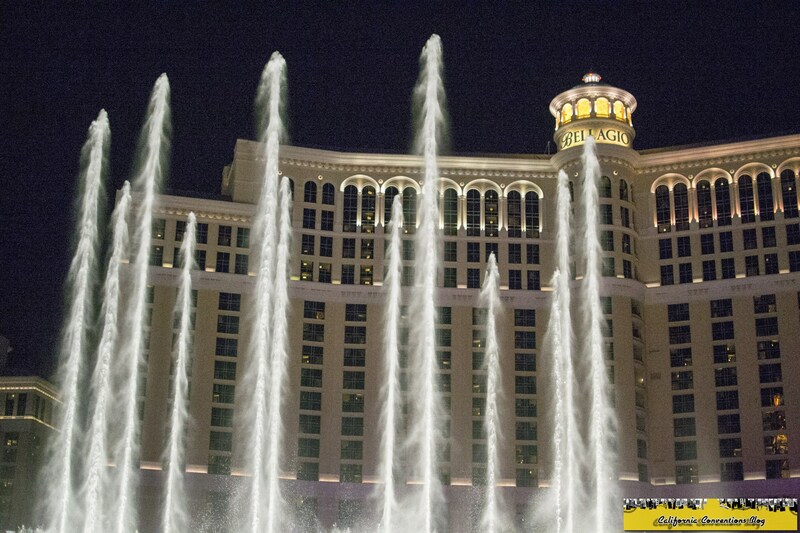 Fans and bettors packed the casinos to watch Chiefs/Colts and Saints/Eagles in the nightcap. I found myself sitting at the Sports Book watching these games while waiting in between events and panels that I found myself attending. 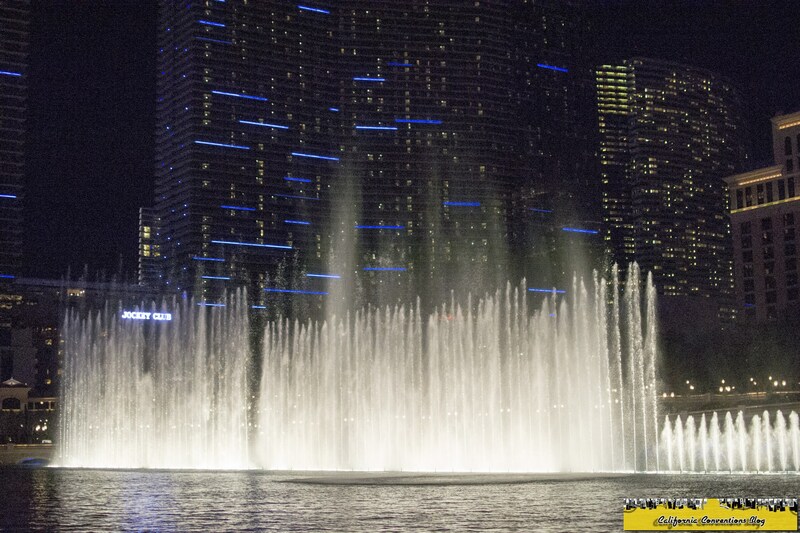 Unfortunately, I found myself sitting here more Saturday night since the only main event going on that the time was the Masquerade and usually I don't cover Masquerades. 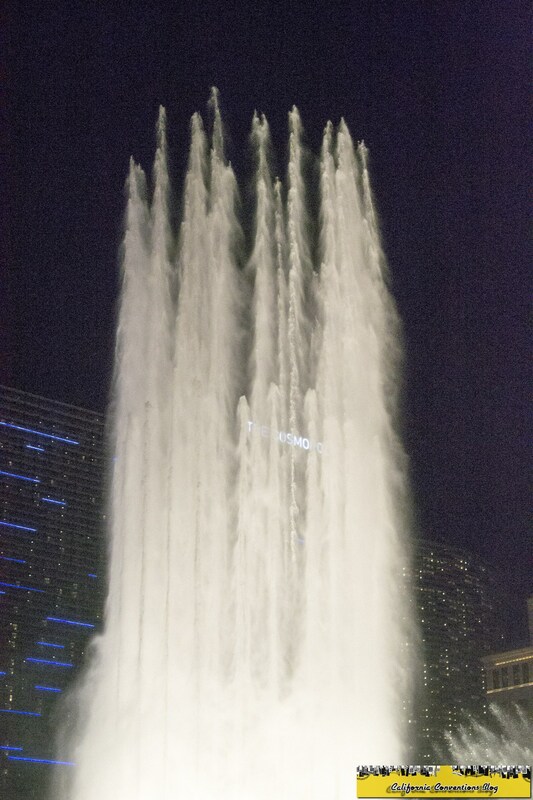 I also took an opportunity to watch the Bellagio Fountain Show again but this time take some photos. 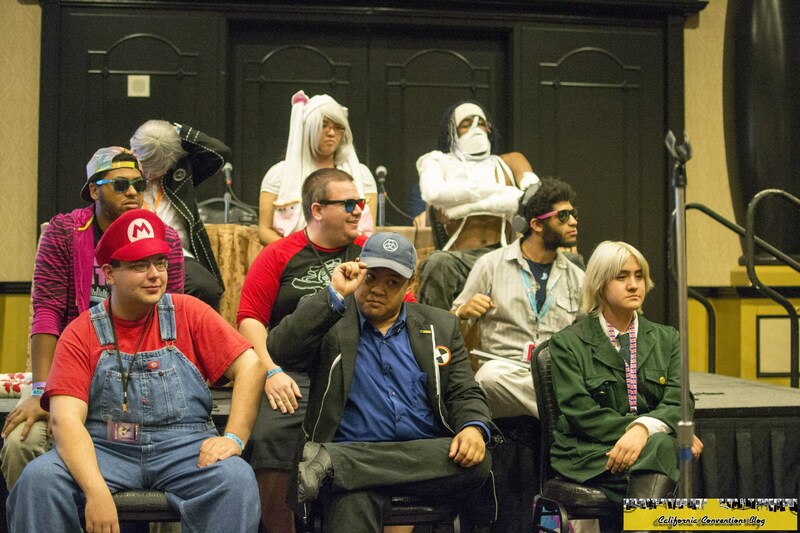 Later in the night, we all decided to head over to the Annie Mae Squares panel, an anime version of Hollywood Squares. Despite having a pre-reg list, I was able to squeeze in as a square in between a Mario and England. I had a Madoka question come up for me which basically went "which character eats the most." However, I had the movies and not the main series in my head and all I could think was cake, so I answered Mami. The contestant agreed, and we were both wrong; they were looking for Kyouko as answer who does the majority of the eating in the series because of her curse. I felt really stupid because I loved Madoka Magica and I should of gotten that answer correct. I did make it up when I got a Hidamari Sketch question correct. 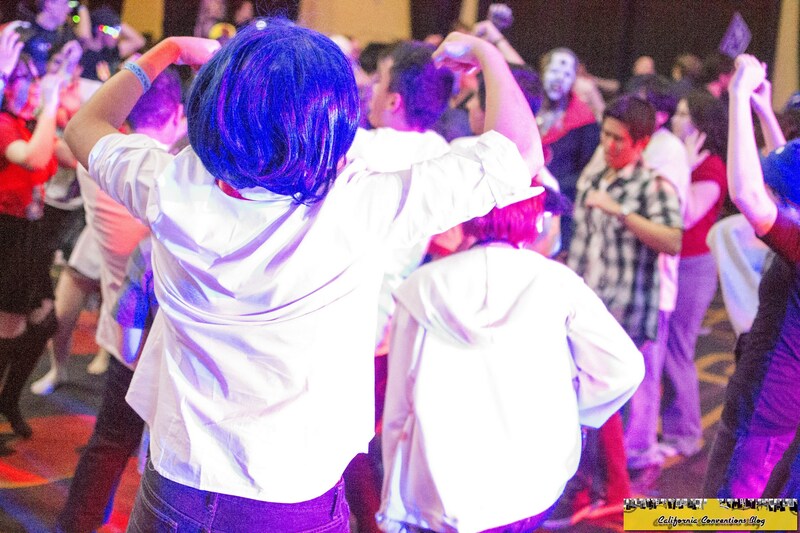 I was able to get into the dance to get some photos. I kept hearing that even though they were scheduled to run until 4am, they closed the dance at 2am on both nights due to low attendance. I was hoping for more people to show up, but you take what you can. Back up in the jacuzzi suite, I had invited some of the people that were trying to organize that Persona Gathering. We all relaxed and talked about the series over music and chilling in the jacuzzi. 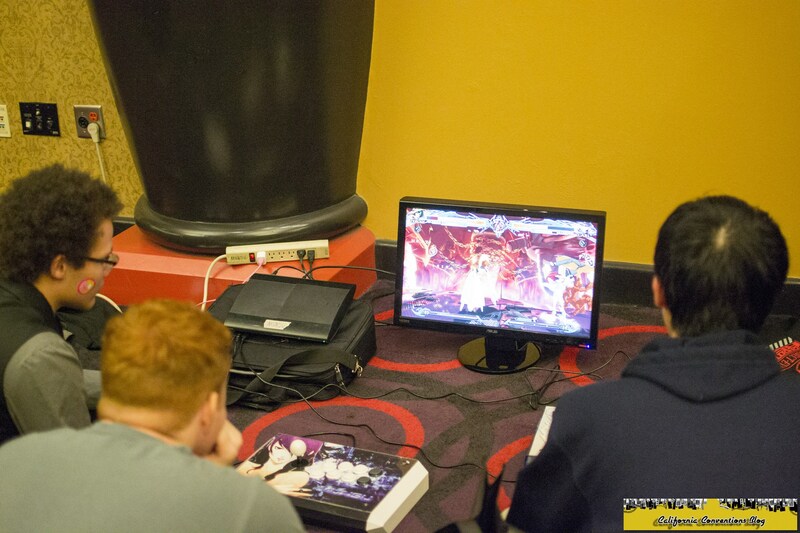 Attendees playing BlazBlue in the hallway in the early morning.